hand-held unit with integrated binocular eyepiece or as a vehicle mounted system bore-sighted with ammunition. A Long Range continuous optical zoom cooled MWIR polarity selectable sensor with high sensitivity provides crisp images for day/night time scenarios. Image enhancement and correction penetrates and cuts through smoke, fog, dust and cluttered scenes. GPS and integrated compass enables accurate target geo-location. Instant image capture and stream is available for mission reporting and task documenting. at an eyesafe wavelength, and calculate grid coordinates with its own GPS, Elevation, Azimuth capability. HD Oled binocular displays give the user a big screen immersive viewing experience without eye strain or fatigue. in the high resolution HD OLED viewing screen. Built in IR Laser Pointer capabilities and image capture and streaming are a few functions of the system. The crystal clear imagery provides the operator excellent situational awareness, long range standoff distance and target of interest detection ranges up to 10 kilometers. ELANUS features a compact, user-friendly design, making the perfect for both military and security applications, including infantry squads, special forces, forward observers, border and coastal patrols, elite commanders and police units, anti-terrorism and homeland security. The Eoir handheld reconnaissance ELANUS is the easiest multi sensor binocular to understand, operate and maintain, the System is interoperable, ELANUS binoculars offer an integrated LLL day/thermal channel fusion function, greatly improving their target detection capability. Ultra rugged design and plug and play operation makes the ELANUS system a top imaging choice for many professional security, military and law enforcement agencies. The pixel to pixel exact match image sensor fusion blends multi sensors togather which aids in target discrimination, detection and identification for rapid critical friend or foe decision making. The ELANUS can be customized with additional strategic sensors and outfitted with cooled longwave 7-14 Micron infrared sensors and HD large format FPA focal plane Arrays. 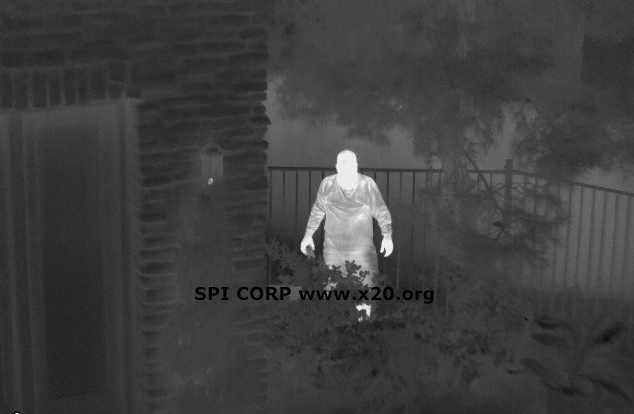 THE SPI X27 COLOR NIGHT VISION CAMERA IS UNDERWAY TO BEING IMPLEMENTED INTO THE ELANUS AS AN ADDITIONAL SENSOR, THE X27 IS THE WORLD MOST SENSITIVE AND HIGEST PERFORMING COLOR NIGHTVISION CAMERA WITH OUTSTANDING IMAGE QUALITY AND INFRARED POINTER/DESIGNATOR AND ILLUMINATION DETECTION CAPABILITIES. Reduced SWaP / highest performing, lowest power consuming, lowest price in its class.